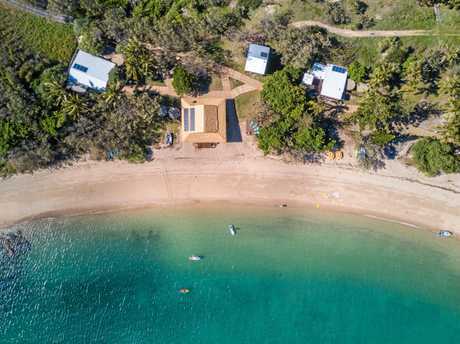 AN ENTIRE island on Yeppoon's horizon could be all yours, and your 33 mates', if only for a few nights. Gather your friends, the work crew, the footy team or family and chip in to rent all six hectares of Pumpkin Island, formerly XXXX, for $150 each per night. Once the sixth-most expensive island in the world, Pumpkin has returned from a blokes' fantasy retreat during the brewing co's three-year tenure, to a boutique island experience. Now you can have it all; the bone-white beach, beautiful bushland, surrounding reefs, cocktail bar, the hammocks swaying between palm trees. 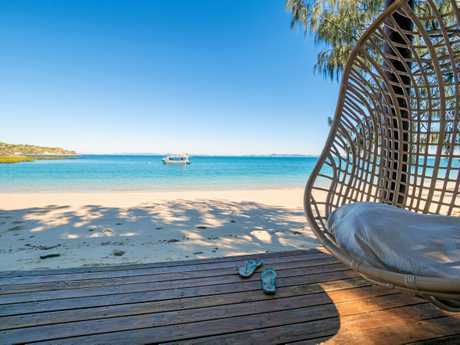 The best-kept secret is nestled in the Keppel Group of islands on the Capricorn Coast, and just a half-hour, 14km ferry ride to pure bliss. With seven accommodation units and five eco-cottages, it's time to seriously consider that list of who you would like to be stuck on a deserted island with. But there's no limit on how few people can call Pumpkin their temporary home, with managers Wayne and Laureth Rumble, regularly catering to honeymooners and sometimes the solitary traveller. 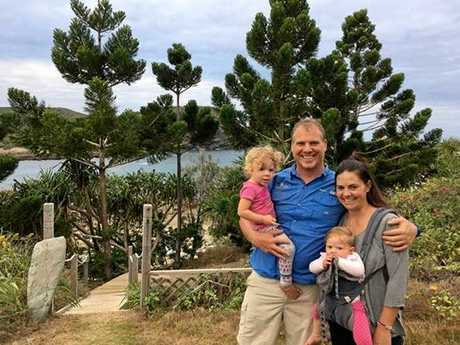 The pair have lived the dream since 2008 and 2009 respectively, posted on the island full-time, bar a brief period when they oversaw operations during the XXXX Island days. They returned to the retreat's helm in 2015. Laureth said the island experience allowed people to do "as much or as little as you want", but most came to get closer to nature. 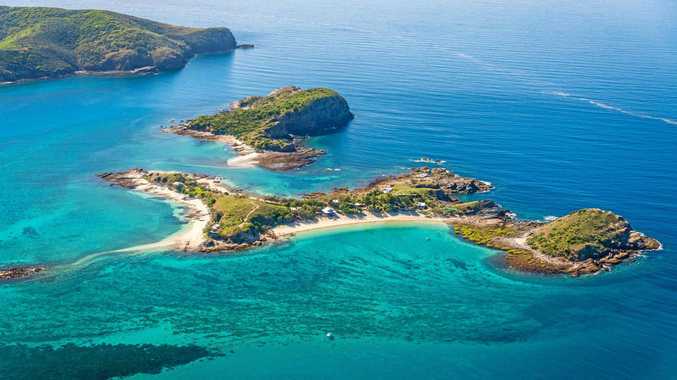 If you're up for more adventure glass-bottom kayaks, swimming, snorkelling or taking a dip with the whales are just regular ways of life in this island paradise. Like the nearby Great Keppel Island, Pumpkin welcomes a flurry of overseas visitors hailing from as far as Sweden, Canada, America, Germany, England and France. Laureth said while foreign travellers made up 30% of their guests, the remaining 70% are Australian visitors predominantly from south-east Queensland, New South Wales and Victoria. A smaller handful of bookings stem from Western Australia, South Australia and Central Queensland locals. But it takes a village to run an island, and joining the Rumbles are up to four staff, a ferry crew and the Keppel Bay Marina who offer catering options. 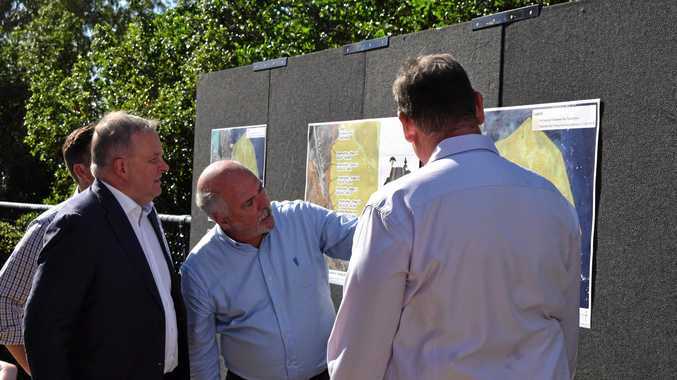 Promoting the Southern Great Barrier Reef is a six-year labour of love for tourism body Capricorn Enterprise, who have assisted the Rumbles in entering the world market. "They are an amazing organisation, Capricorn Enterprise works really hard to promote the Southern Great Barrier Reef," Laurel said. "It's quite an up and coming destination." Capricorn Enterprise CEO Mary Carroll yesterday revealed international visitors to the Southern Great Barrier Reef had increased by 10%; an extra 13,000 year on year, totalling 148,000 guests for the year ending June 2017. Of this total number, 116,000 were visiting for holidays, which was a positive growth of 14% for the Southern Great Barrier Reef. During the 12 months to June 2017, the destination can boast total visitor nights of 2.5 million, with a international visitors spending a total of $98.7 million spent in the region, which covers Capricorn, Gladstone, Bundaberg/North Burnett. With a Daily Telegraph reporter from London heading back home to spread word of their Pumpkin Island experience, plus a myriad of journalists, videographers and underwater photographers it is unlikely the destination will remain a secret. Visit Queensland also exposed the sandy shores to its near 1.8 million Facebook followers with a 360 view from one of the cottages, captured by photographer Nathan White. The island has a minimum three-night stay, with most guests enjoying a five to seven day escape.